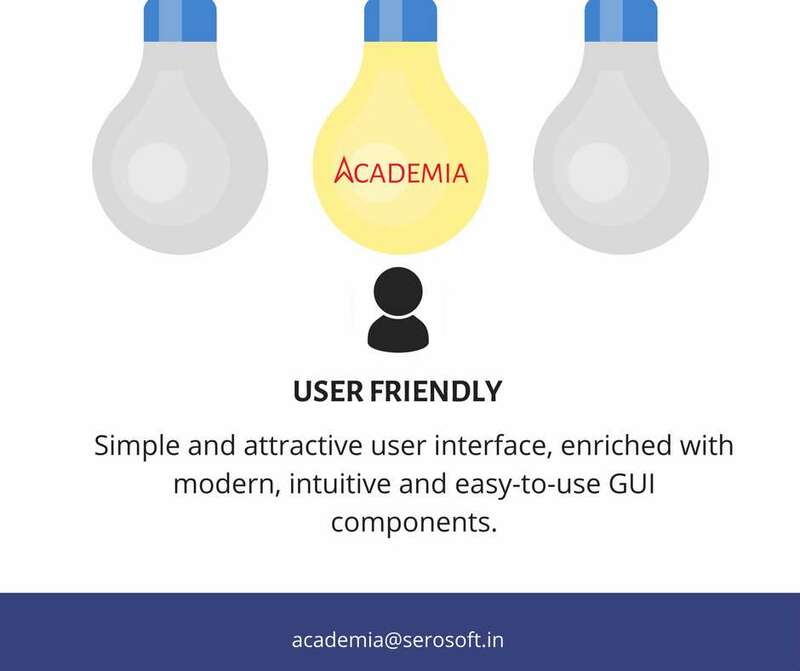 The human brain has vast coverage, but it has special space for visuals. 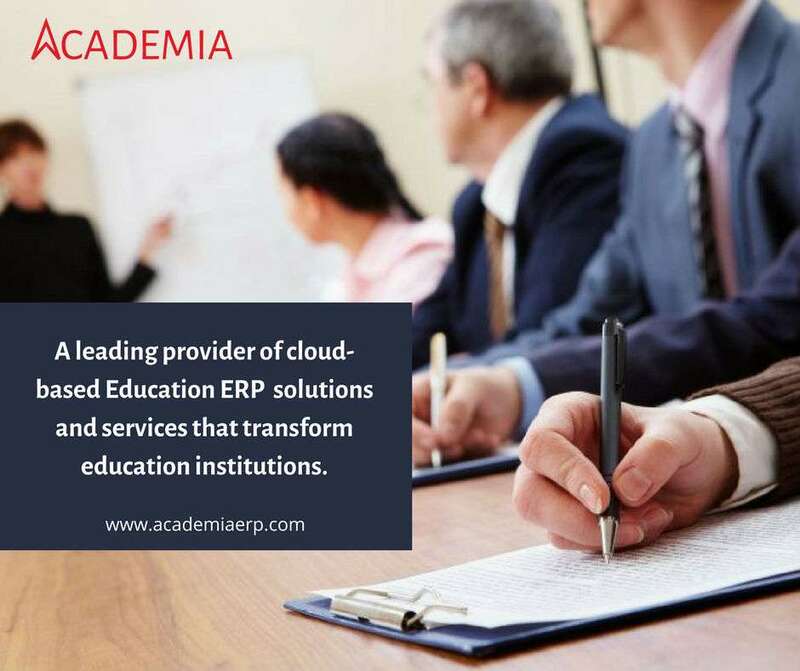 The right choice among Cloud based ERP Systems for education institutes. 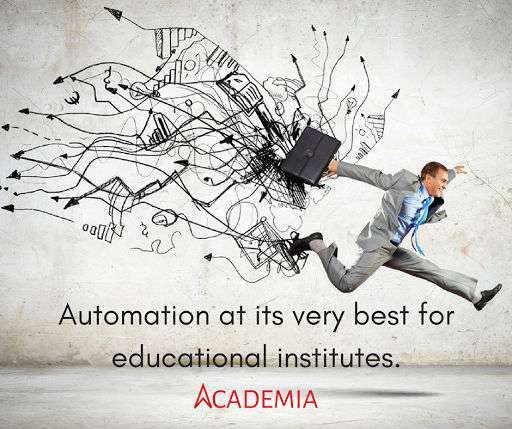 A smart way to automate education processes with higher accountability and amazing support. 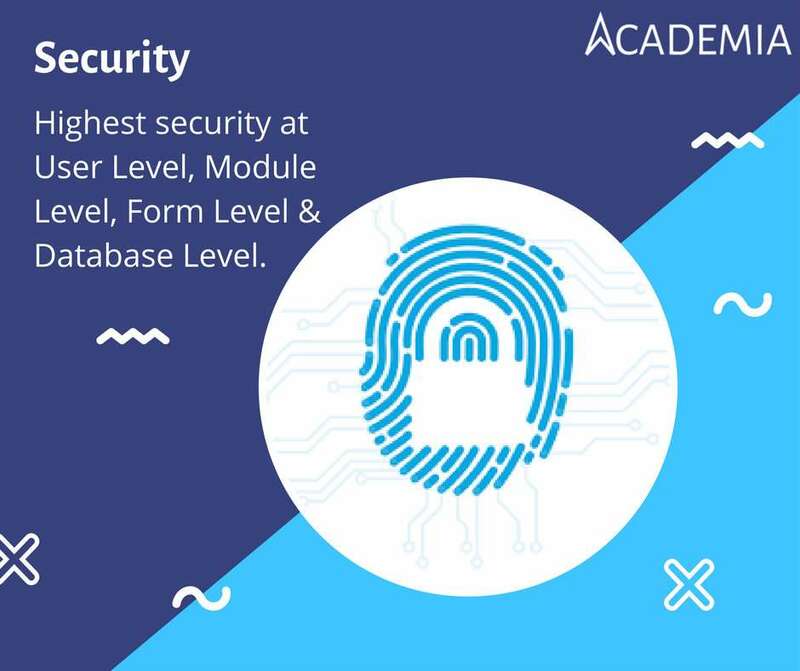 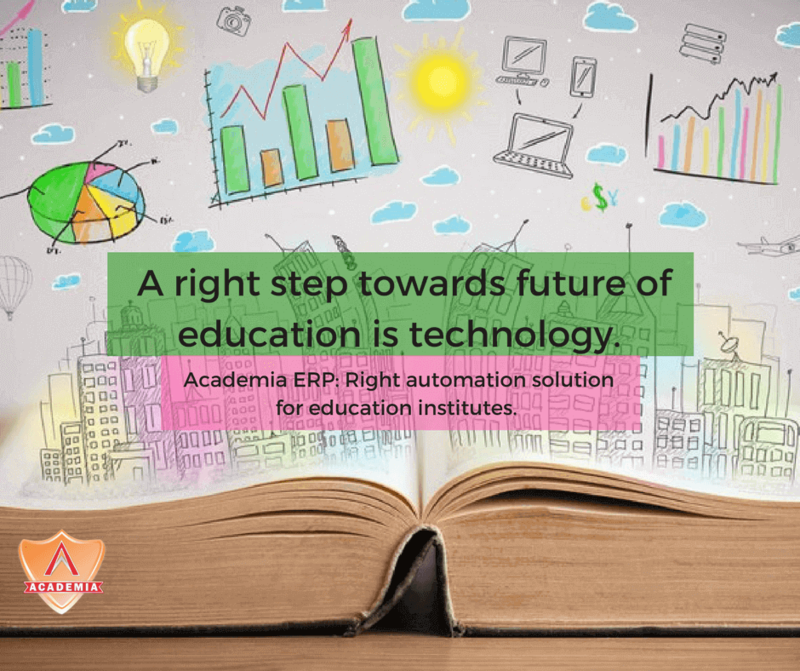 Security of data and system is important, therefore it is a must factor to be considered while choosing a right fit Education ERP. 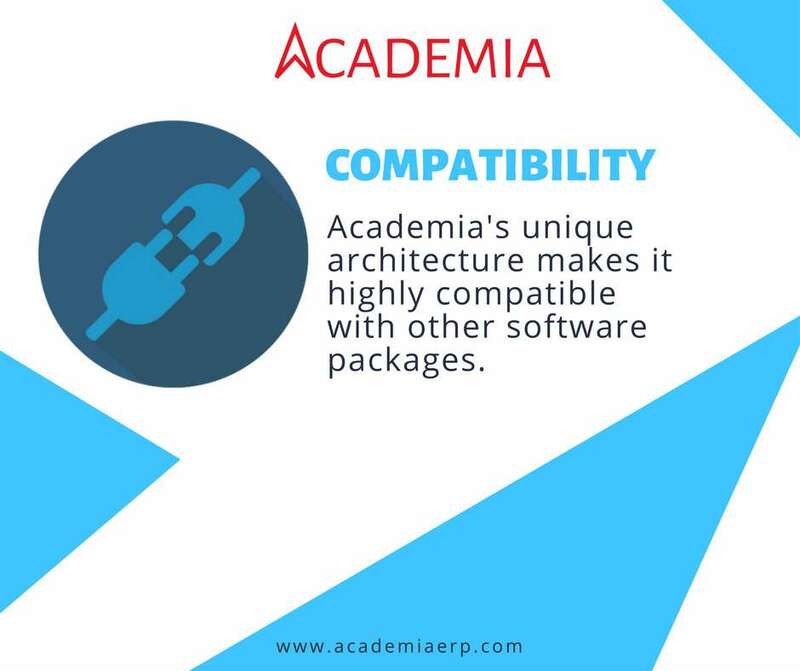 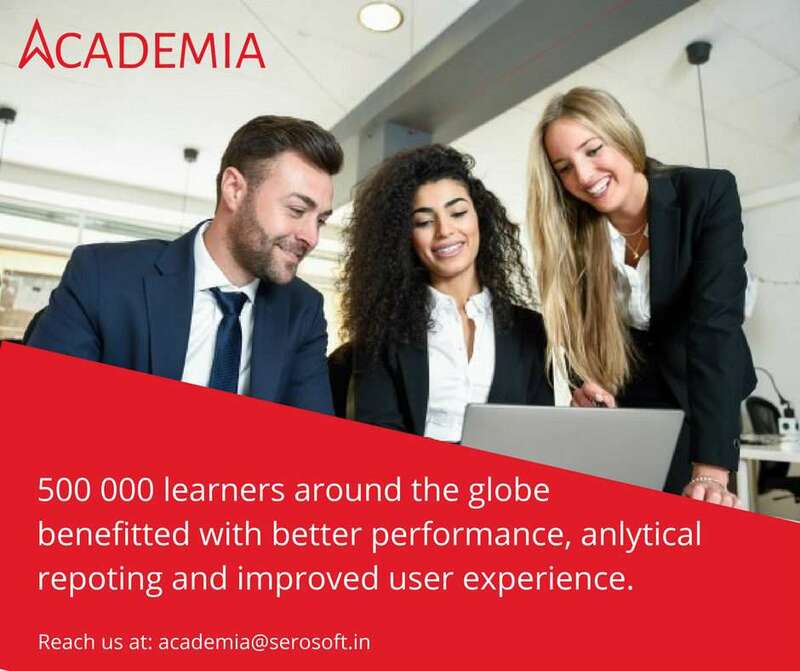 Academia ERP features highest compatibility with all other educational software to make automation process more effective. 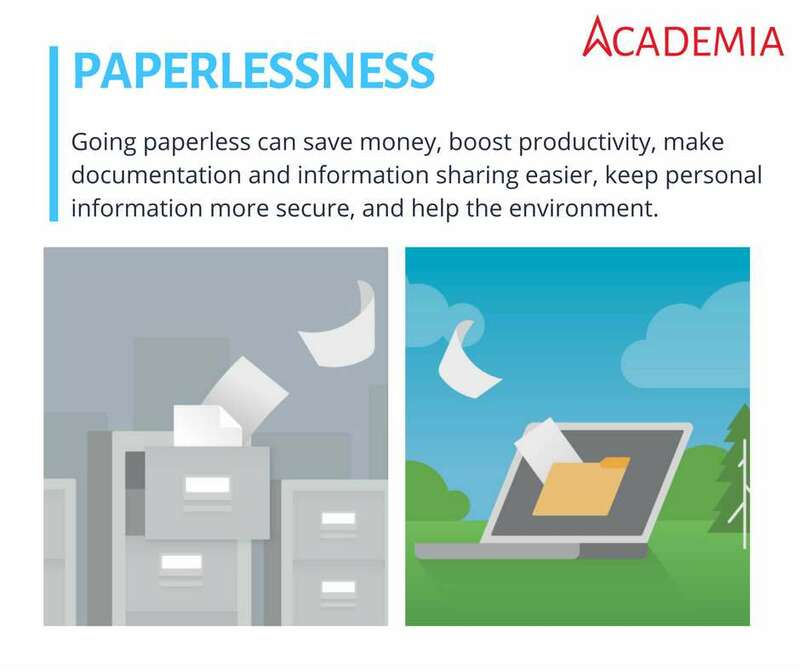 Automation is the best way to save paper, hence the trees and eventually the world. 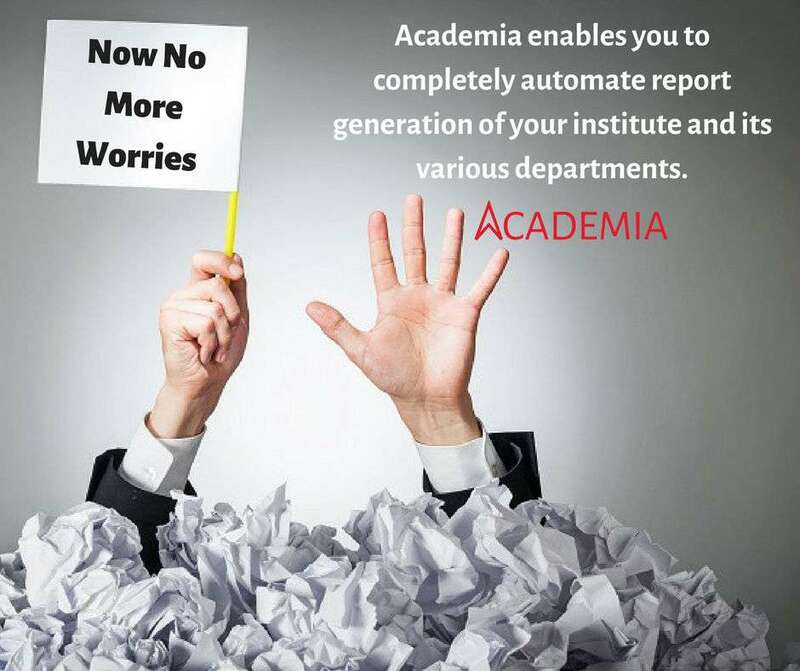 Go green with Academia ERP. 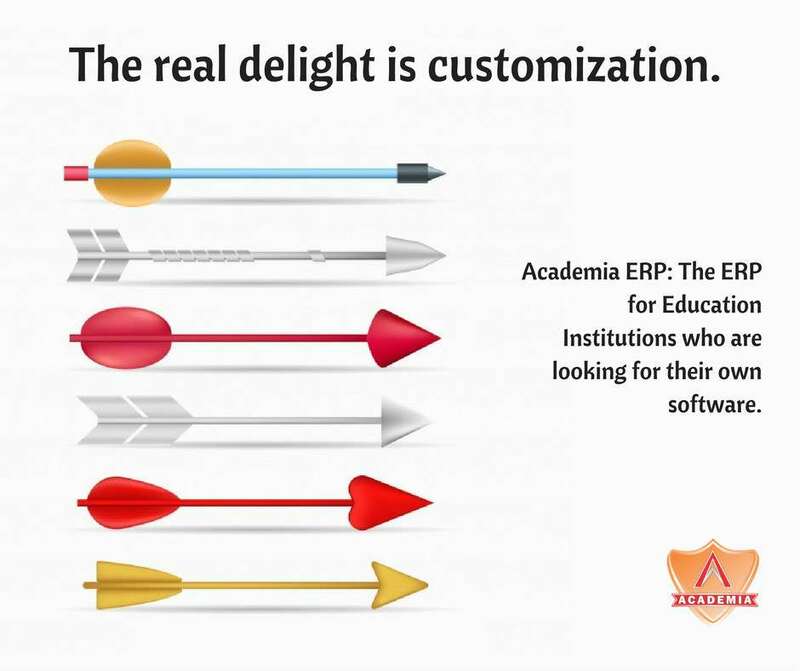 An ERP equipped with a modern interface for the modern user. 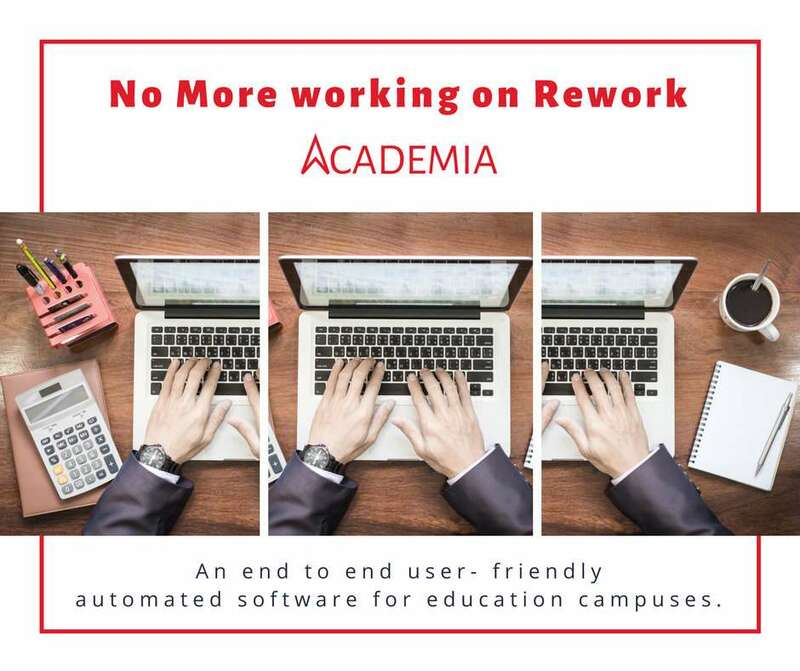 Academia ERP helps eradicate rework from institutional processes by automating it. 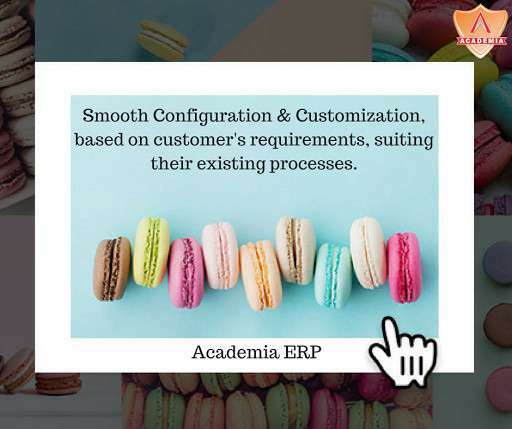 An ERP which allows efficient integrations with third party applications through a single interface login. 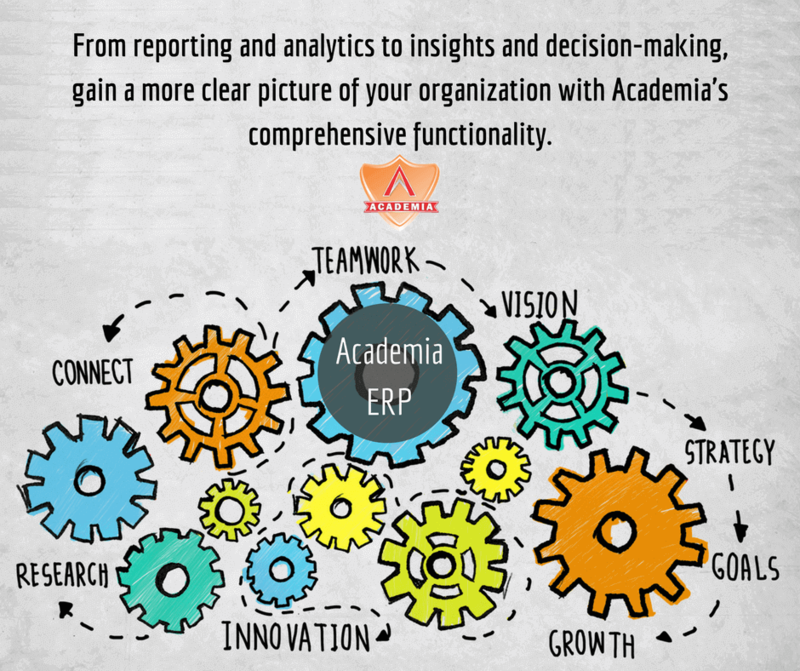 Academia ERP: An expert ERP that allows your institute to perform better. 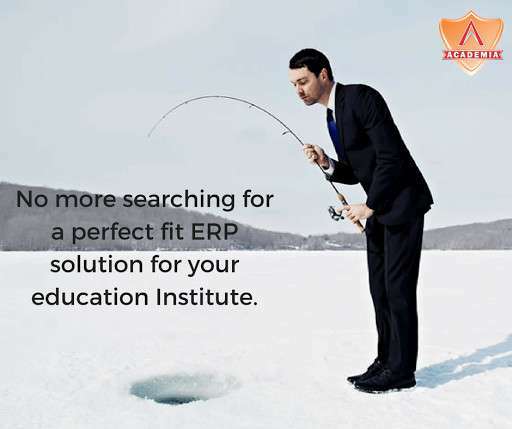 An ERP Solution that help you make decisions the right and better way. 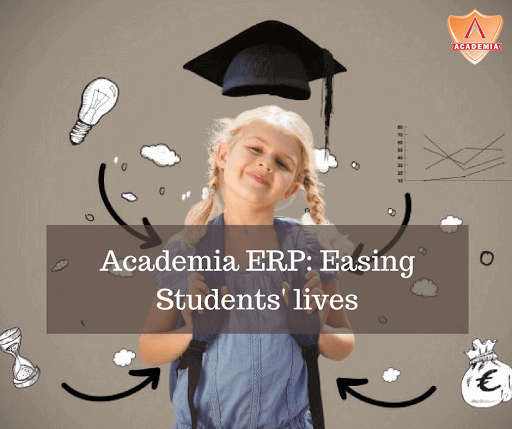 Academia ERP enables you to engage students in a proactive manner resulting in greater sense of belonging and trust. 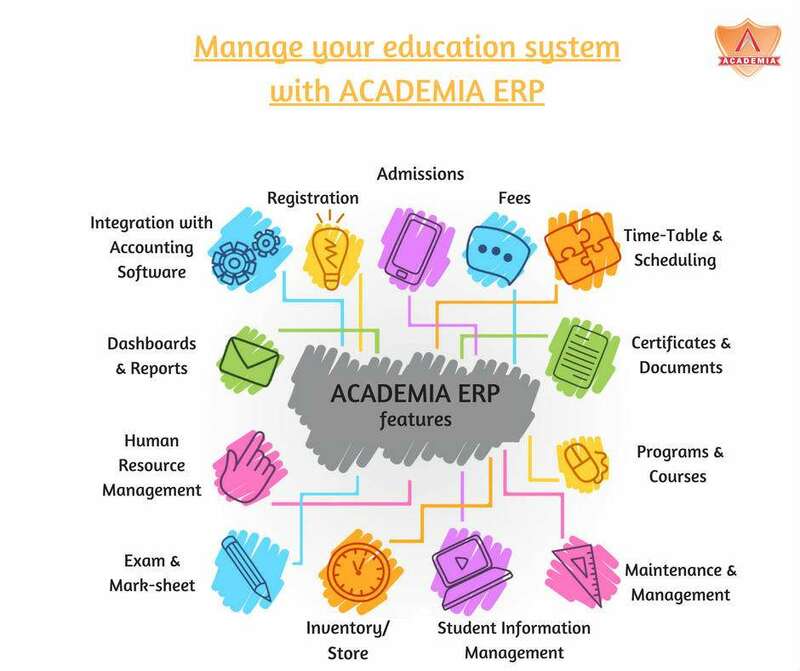 Looking for a suitable ERP system for your institute: Register for free demo of Academia ERP today. 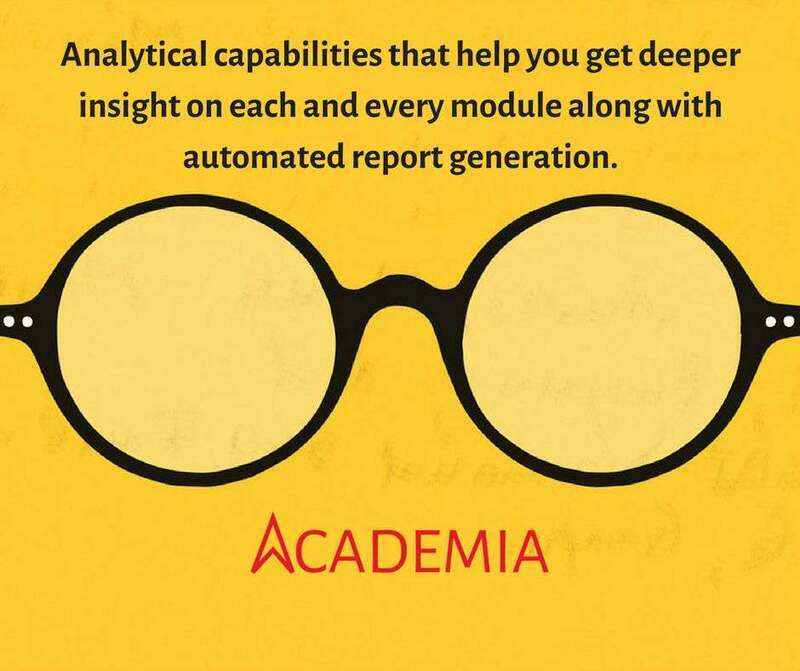 Analysis is an important part of management process, it can be made easy with technical advancements. 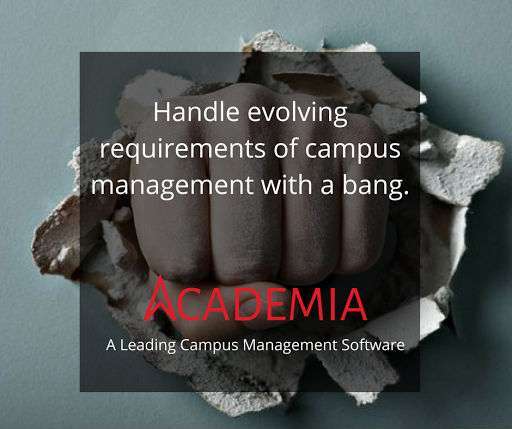 The right solutions for all your campus management needs. 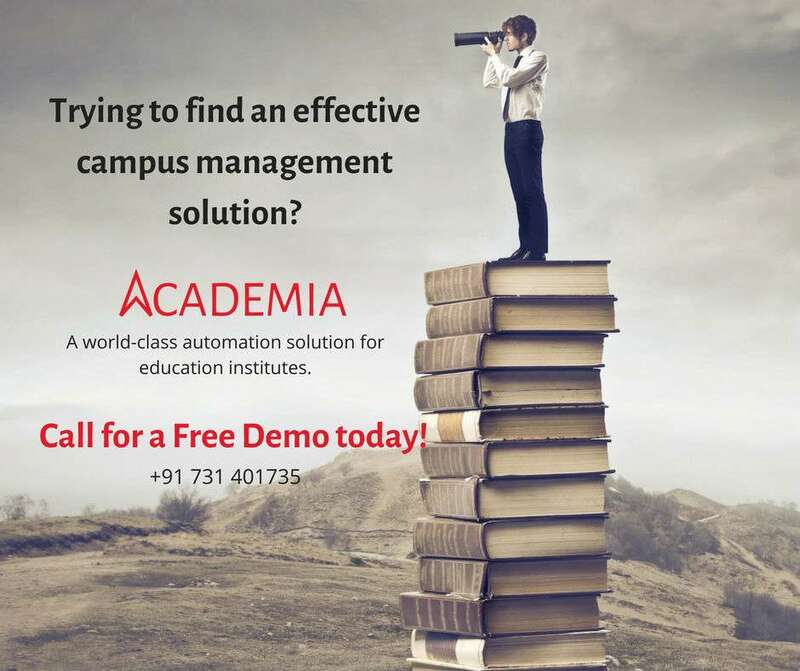 Grow and succeed through automation. 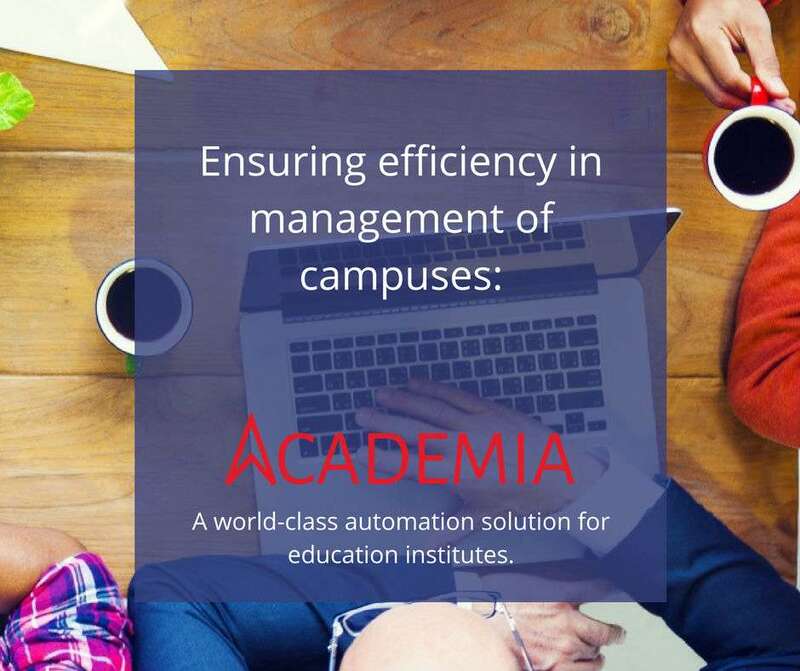 Get an efficient management system for your campus. 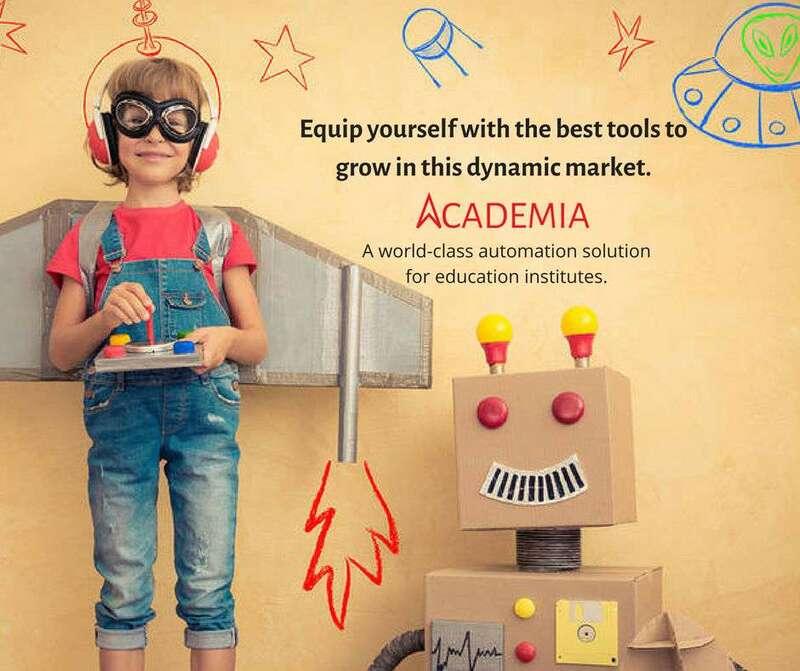 Success involves breaking out of established patterns in order to look at things in a different way, the better way. 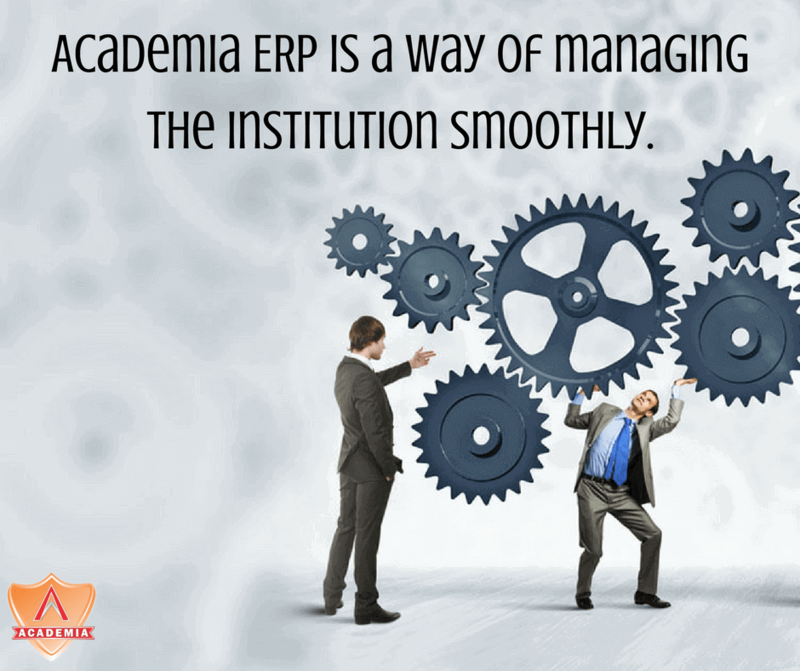 Academia ERP is the right solution for a transparent institutional management. 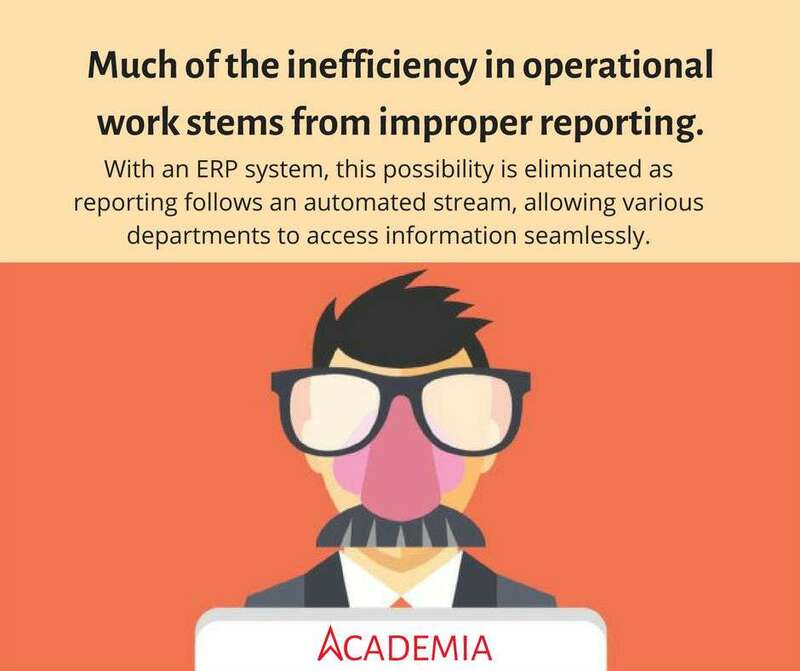 An ERP system automates the analytical metrics and hence results in higher productivity. 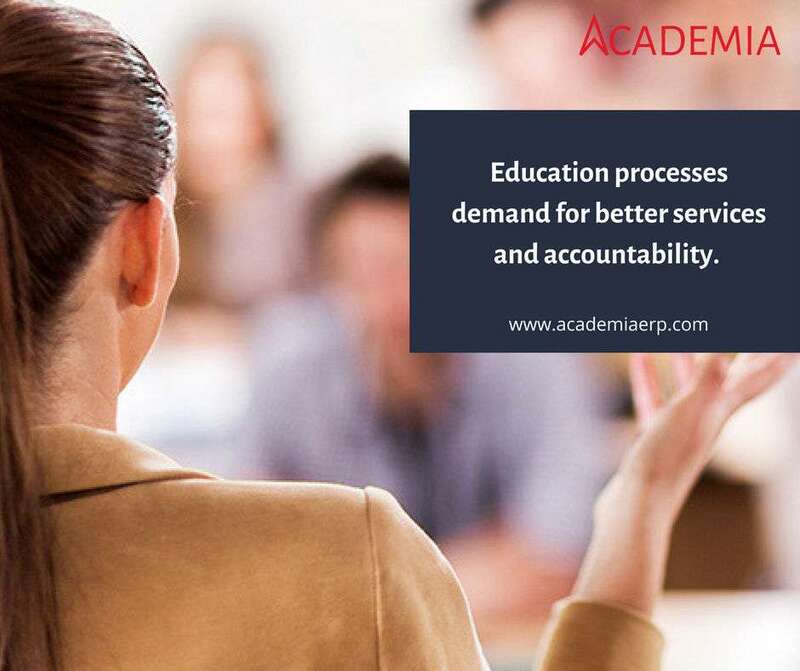 There are many education ERPs available in the market. 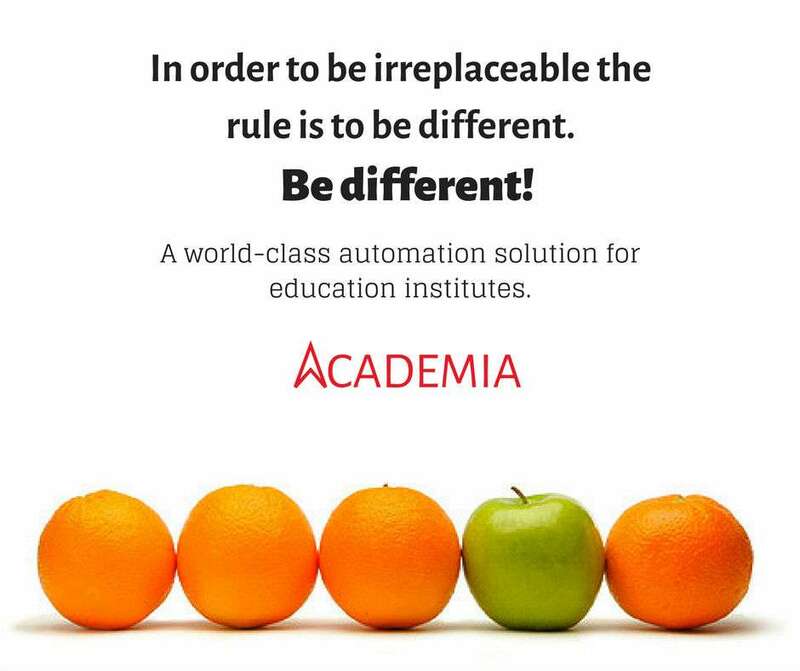 But choose the one which fits your institute the best. 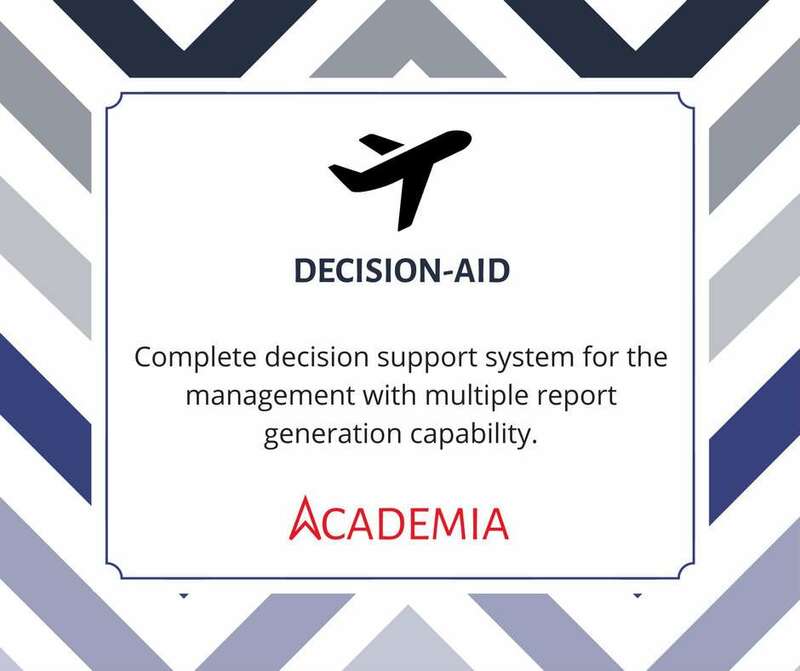 We allow our users to choose from the modules we provide, based on their needs. 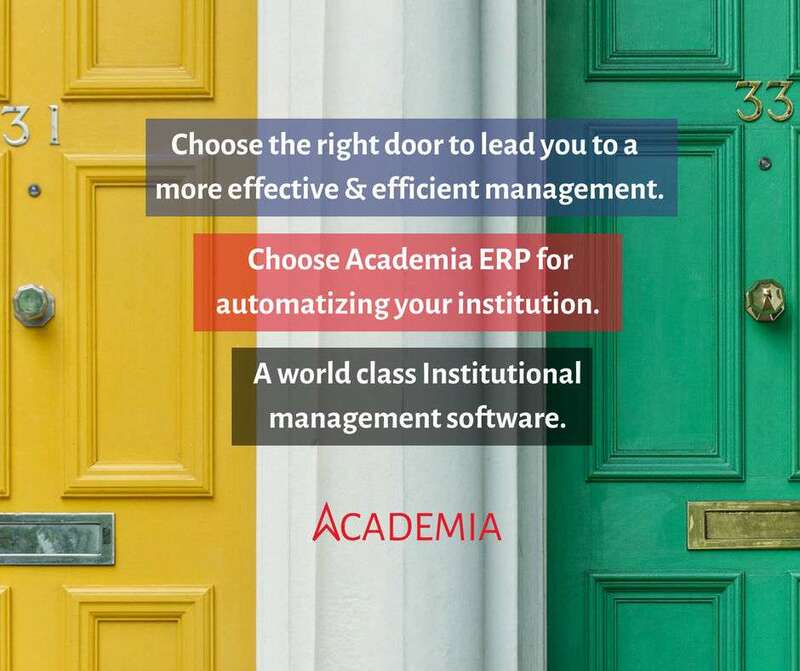 Customize the institutional management the best possible way through Academia ERP. 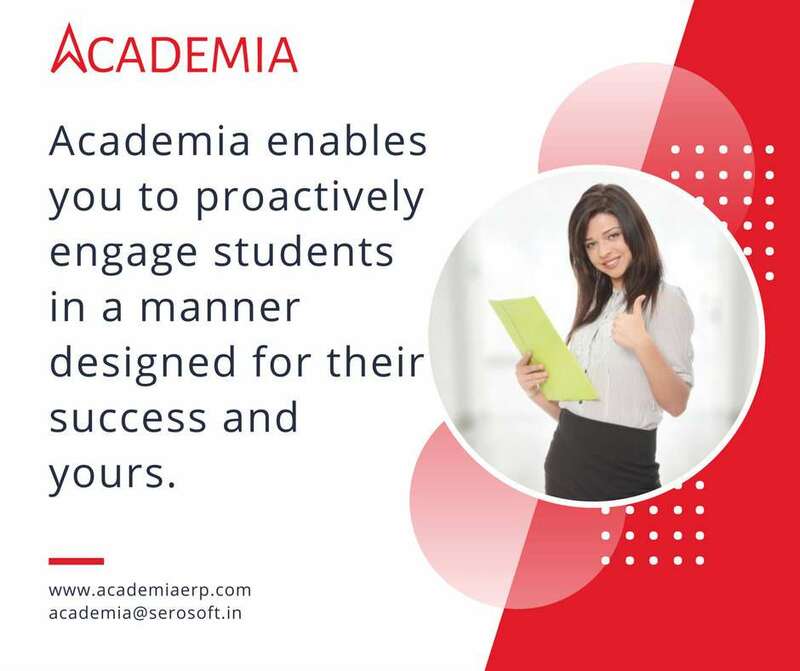 We build our product to suit particular specifications of your institute. 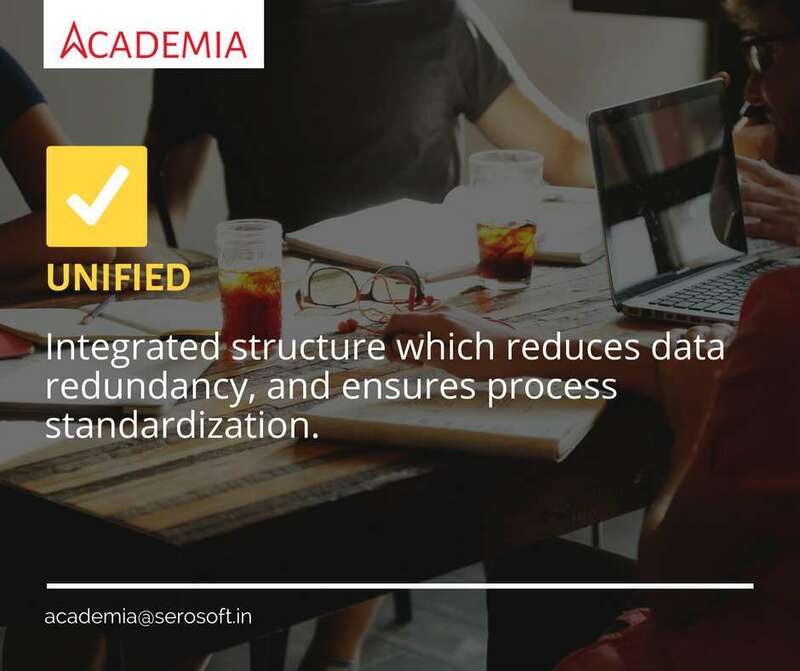 A unified software that helps you manage your entire management process in one go. 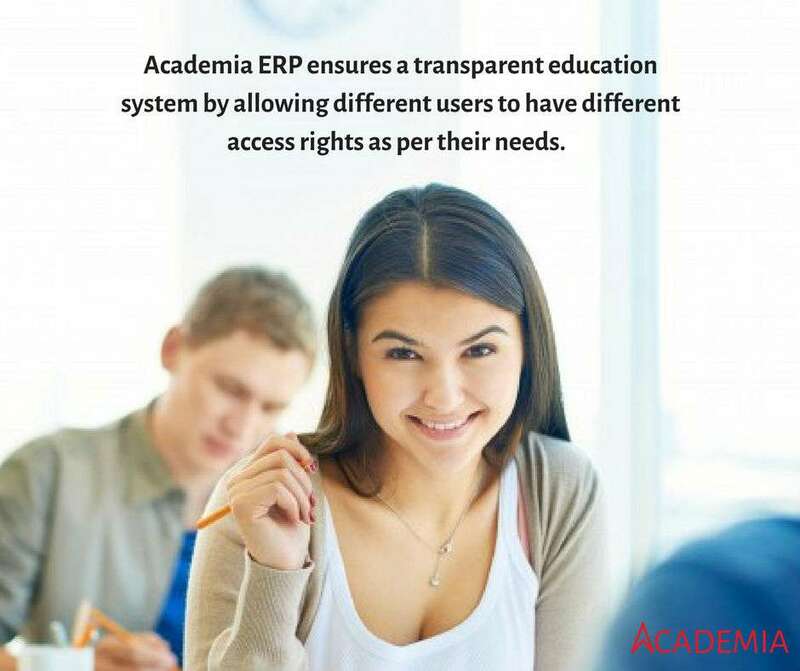 Academia ERP: A step towards building future professionals. 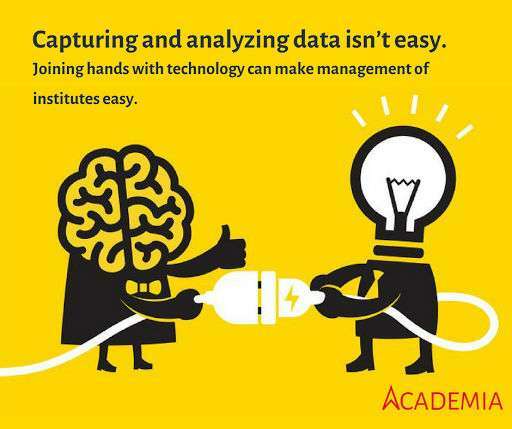 Utilize technology in an exemplary way to advance your institution. 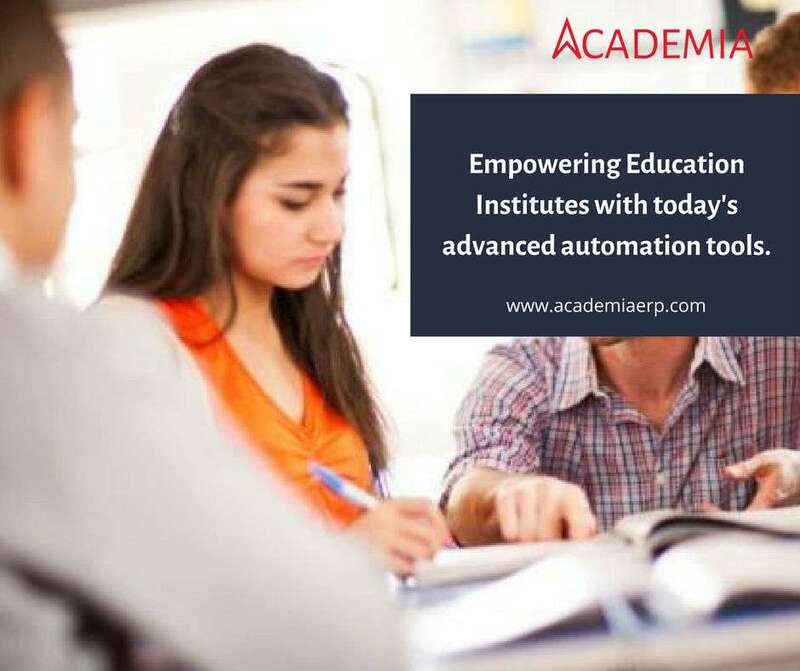 Technology is the right strategy to achieve advancement in education. 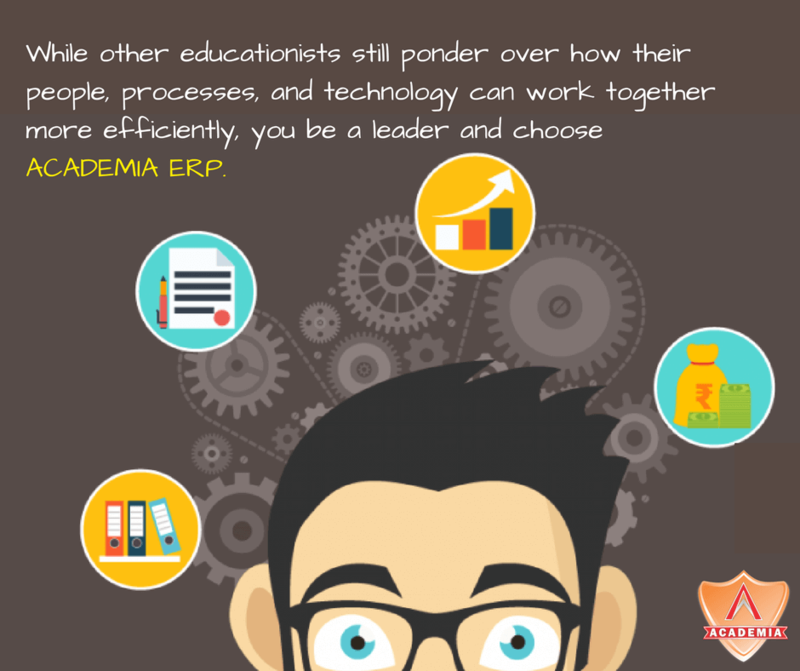 The right type of management is meant to be efficient and effective.